Go out in a clear and cold northern winter night, look south, and you will be dazzled by an impressive collection of bright stars. 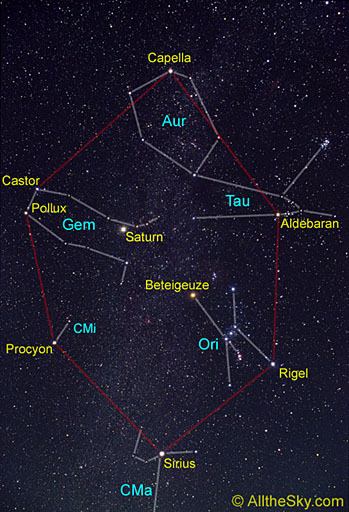 Six of them make up the huge asterism of the Winter Hexagon: Capella in the constellation of Auriga, Aldebaran in Taurus, Rigel in Orion, Sirius in Canis Major, Procyon in Canis Minor, and Castor in Gemini. The milky way runs through this field, whereas the bright center of our galaxy is just in the opposite direction of the sky. 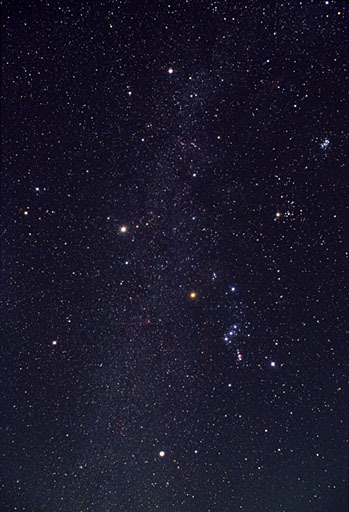 However, in the direction of the winter sky lies the local Orion arm of our galaxy. 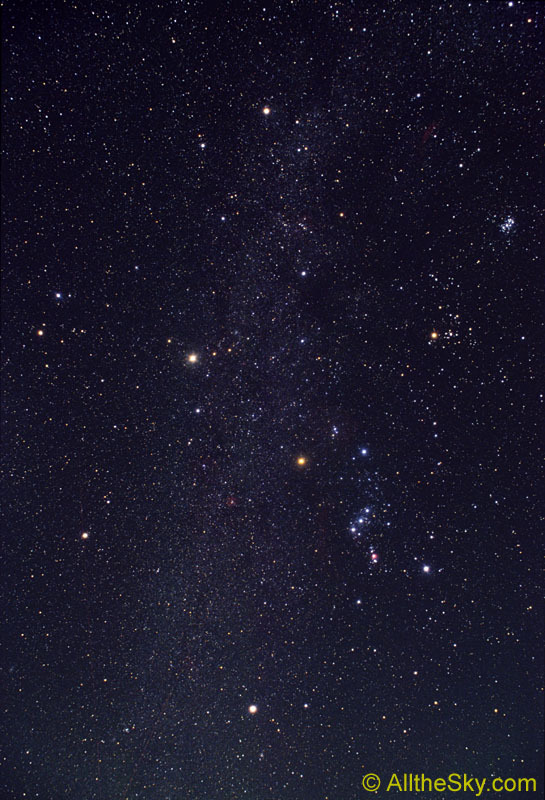 We, our sun, and all the bright stars of the Winter Hexagon belong to the stellar population of this local part of our galaxy called Milky Way.